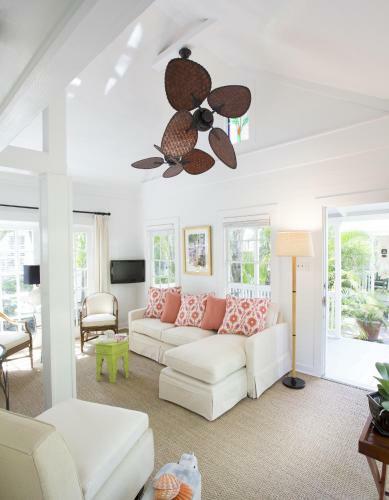 This adult-only, smoke-free property is located in the heart of Key West, less than 1 mile from the Southernmost Point. Guests will enjoy a daily breakfast including pastries, organic fruit, and dessert cakes during their stay. 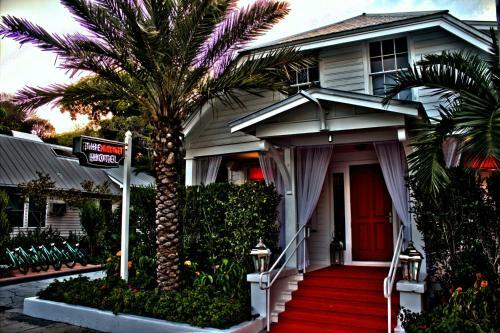 Old Town Manor is located at 511 Eaton Street, Key West, FL 33040. This is a N minute walk from Duval Street and minutes from Mallory Square. The Historic Seaport area is a N minute walk away. You can walk to Higgs Beach in N minutes and Smathers Beach in minutes. 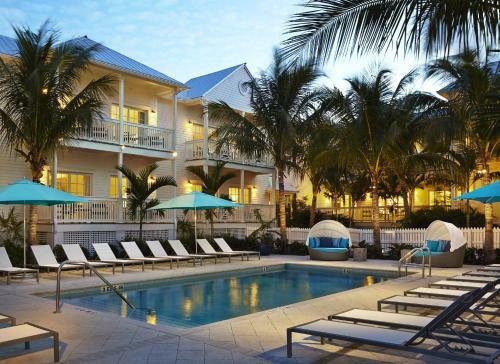 Ideally set on a private beach in Key West's Old Town, close to local attractions, this resort offers elegant accommodations, a full-service spa and delicious on-site dining options. 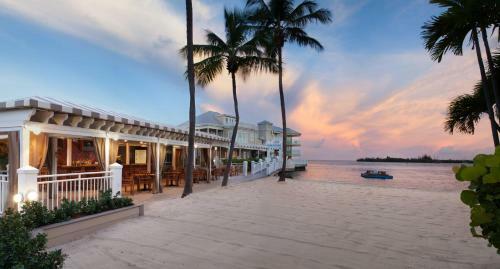 The Pier House Resort and Spa is located at One Duval Street, Key West, FL 33040. This is a N minute walk from Duval Street and minutes from Mallory Square. The Historic Seaport area is a N minute walk away. You can walk to Higgs Beach in N minutes and Smathers Beach in minutes. With two-acres to work with and an eclectic historical platform, nearly every inch of Simonton Court Hotel has been meticulously crafted to give its guests the most unique Key West experience possible. World renowned artists and designers have poured themselves into Simonton Court Hotel and the lead designer, Susan Moloney, has made every second of that work her personal mission to oversee. Simonton Court is located at 320 Simonton Street, Key West, FL 33040. This is a 3 minute walk from Duval Street and 8 minutes from Mallory Square. The Historic Seaport area is a 4 minute walk away. You can walk to Higgs Beach in 28 minutes and Smathers Beach in 48 minutes. Lounge by the outdoor pool at Coco Plum Inn in Key West. This bed and breakfast offers free WiFi access. Coco Plum features cable TV, air conditioning, and outdoor furniture. The dining area includes a refrigerator and coffee-making facilities. Adults only. 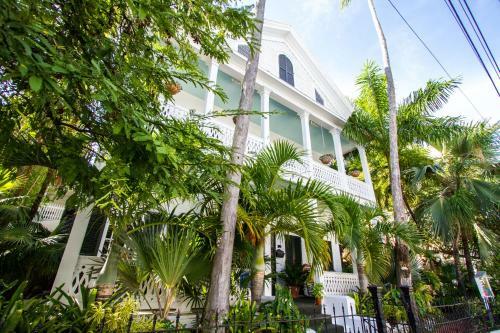 Coco Plum Inn is located at 615 Whitehead Street, Key West, FL 33040. This is a 3 minute walk from Duval Street and 10 minutes from Mallory Square. The Historic Seaport area is a 13 minute walk away. You can walk to Higgs Beach in 27 minutes and Smathers Beach in 51 minutes. All rooms and suites in the Artist House on Fleming feature en-suite baths, mini-fridges, HD televisions, iron and boards, and complimentary Wi-Fi access. Sleep well on plush pillow-top mattresses. Enjoy your complimentary breakfast on an enormous wraparound porch or in the tropical back garden from 8:30 am until 10:30 am. Refresh in the new custom dipping pool that features a relaxing waterfall. The Artist House on Fleming is located at 1016 Fleming Street, Key West, FL 33040. This is a 10 minute walk from Duval Street and 18 minutes from Mallory Square. The Historic Seaport area is a 6 minute walk away. You can walk to Higgs Beach in 24 minutes and Smathers Beach in 42 minutes. 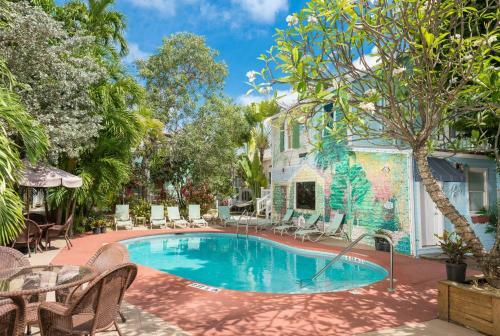 Situated down a shady lane just off Duval St., Andrews Inn truly captures the spirit of Old Key West. Our shimmering pool nestled amongst a tropical garden invites you to start your day with a laidback breakfast and to enjoy a refreshing cocktail after a full day of island activities. 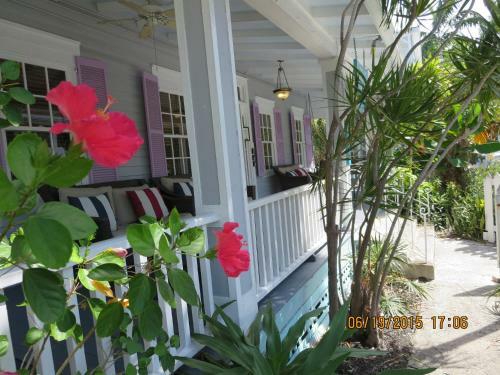 Andrews Inn & Garden Cottages is located at 223 Eanes Lane, Key West, FL 33040. This is a 2 minute walk from Duval Street and 18 minutes from Mallory Square. The Historic Seaport area is a 18 minute walk away. You can walk to Higgs Beach in 21 minutes and Smathers Beach in 45 minutes. 36 smoke-free guestrooms are perfect for the guest who is looking to retire to a luxurious getaway after time in the sun and fun in Key West. All rooms are designed in the Saints signature cobalt blue and white color scheme, accented with blue LED lighting and classic, white sheer drapes. In each of guestroom, visitors will enjoy saintly sleep in luxurious bedding paired with the highest quality high-thread count Frette cotton linens with custom throws. Not to be outdone, the meticulous comfort in each bathroom includes marble fixtures, Niven Morgan Spa Products and lovely Saint Bathrobes. The Saint Hotel Key West is located at 417 Eaton Street, Key West, FL 33040. This is a 1 minute walk from Duval Street and 7 minutes from Mallory Square. The Historic Seaport area is a 8 minute walk away. You can walk to Higgs Beach in 30 minutes and Smathers Beach in 50 minutes. Poised on the pristine waterfront of Key Wests historic seaport, The Marker is more than a gleaming new addition to the Florida islands. As the only newly built hotel to grace Old Town Key West in over 20 years, it marks a fresh approach to luxury - seamlessly blending the timeless elegance of classic Florida Keys resorts with an understated air of modern glamour. Featuring 96 state-of-the-art rooms on two lush acres of tropical landscaped seclusion, The Marker is a tropical oasis set within a vibrant, free spirited paradise filled with sun, surf, art and culture. 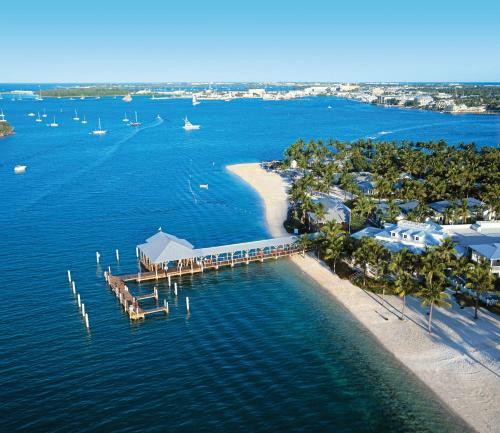 Sunset Key Cottages, a Luxury Collection Resort, Key West is located at 245 Front Street, Key West, FL 33040. This is a NA minute walk from Duval Street and NA minutes from Mallory Square. The Historic Seaport area is a NA minute walk away. You can walk to Higgs Beach in NA minutes and Smathers Beach in NA minutes. History, vibrant nightlife and tropical paradise come together at the La Concha Hotel & Spa. A landmark hotel retreat with deluxe amenities and a fresh take on island ambiance is what you will find waiting for you at the La Concha Hotel & Spa. Designed with total comfort in mind, our newly renovated accommodations feature tropical Colonial architecture accented by peacock colored ceilings, dark wood plantation furnishings and window shutters all adding an air of sophisticated elegance that surrounds you in over 80 decades of Key West history. 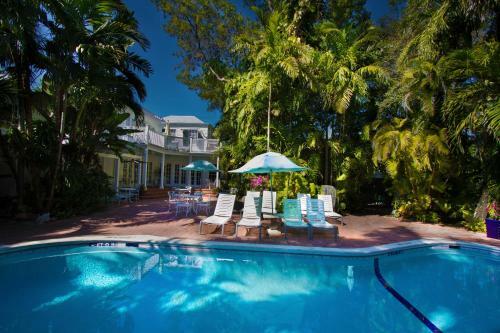 La Concha Hotel & Spa is located at 430 Duval Street, Key West, FL 33040. This is a 0 minute walk from Duval Street and 8 minutes from Mallory Square. The Historic Seaport area is a 8 minute walk away. You can walk to Higgs Beach in 28 minutes and Smathers Beach in 51 minutes. 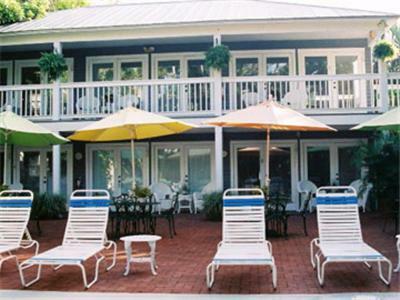 Offering an outdoor pool and free WIFI, the Duval Inn is located just steps from Duval Street. Every room will include cable television, phone, and refrigerator. Irons and hairdryers are available by request. Full concierge services as well as a complete daily turndown service is also available. Duval Inn - Key West is located at 511 Angela Street, Key West, FL 33040. This is a 0 minute walk from Duval Street and 12 minutes from Mallory Square. The Historic Seaport area is a 11 minute walk away. You can walk to Higgs Beach in 22 minutes and Smathers Beach in 47 minutes.